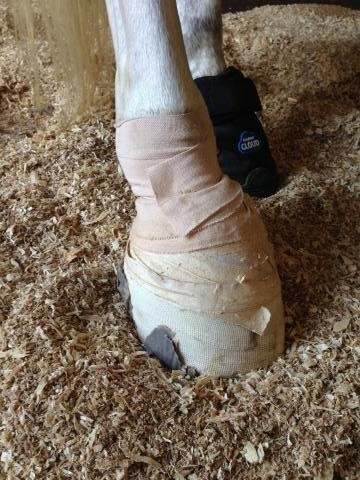 George is a 1600lb draft cross who stepped on something creating a small hole in his sole clear down to the coffin bone. It required surgical debriding and a multi-month recovery in a foot cast and hospital plate. To support the collateral "good" leg, we put him in a Easyboot Cloud. It was wonderful and helped provide sole and lower leg support. 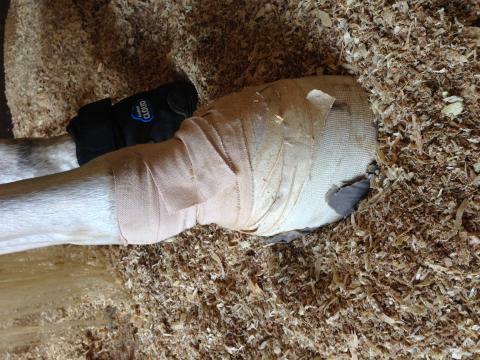 The Cloud made it so both hind legs were at the same height while he was in a foot cast. Through the entire ordeal he stayed sound. Thank you EasyCare for your innovations. I highly recommend these boots.